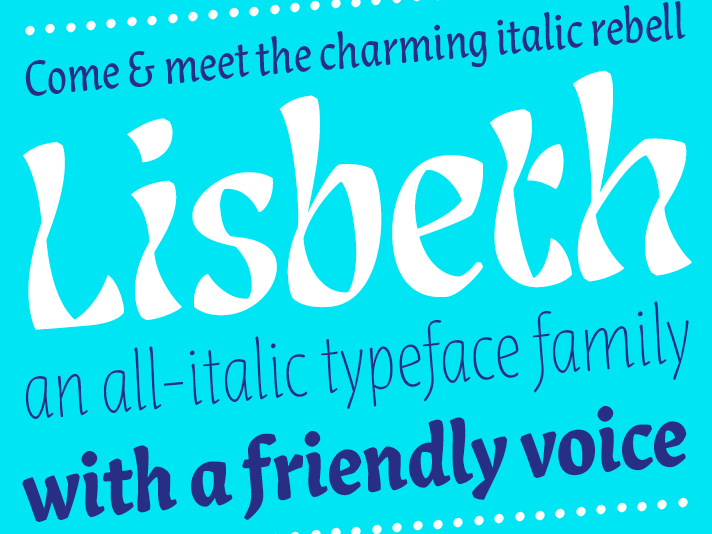 On January 30 I will present my typeface Lisbeth at the event »you're my type« by the TGM (Typografische Gesellschaft München) in Munich. The talk will be in German. Afterwards there will be a presentation by Julian von Klier & Matthias Friedrich, Studio Strobo BM, München. The presentation starts at 7.30pm. Come and meet me there.